LONDON — Britain will be poorer after leaving the European Union than if it had stayed in, no matter what sort of trade deal it has with the bloc, the government said Wednesday — unwelcome news for Prime Minister Theresa May as she tries to sell her Brexit divorce deal to a skeptical nation. A government assessment estimated that 15 years from the day of departure on March 29, the country's GDP will be 0.6 percent lower than it would have been if Britain had stayed in the EU — and that's if the U.K. maintains frictionless trade with the bloc. If Britain leaves the EU without a Brexit deal and there are significant barriers to trade, the British economy would be up to 9.3 percent smaller, economists from the Treasury and other government departments said. "This analysis does not show that we will be poorer in the future than we are today," May insisted — correctly, since the data says the economy would still grow, albeit less robustly than if Britain remained in the EU. 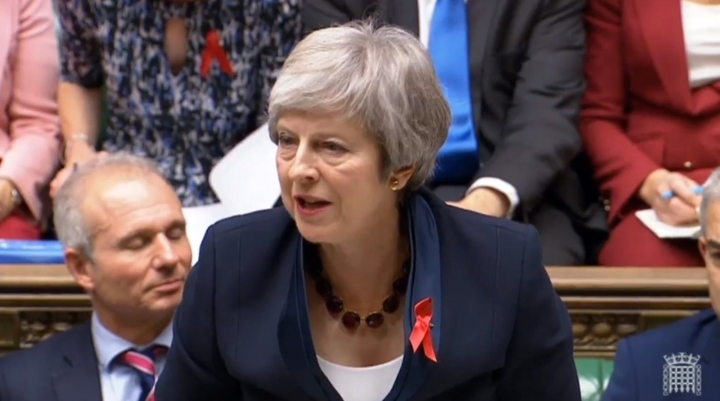 May told lawmakers that her Brexit agreement "is the best deal available for jobs and our economy, that allows us to honor the referendum and realize the opportunities of Brexit." The analysis looked at a range of options, from leaving without a deal to staying in the EU's single market for goods and services. It did not analyze the specific deal agreed upon between Britain and the bloc last week. But it estimated that under similar terms, involving no tariffs but some non-tariff barriers to trade, the economic hit would be at the lower end of the range — a decline in GDP of between 2.5 percent and 3.9 percent compared with staying in the EU. Independent experts have said that 3.9 percent of Britain's GDP will amount to about 100 billion pounds ($128 billion) a year by the 2030s. "If you look at this purely from an economic point of view, there will be a cost to leaving the European Union, because there will be impediments to our trade," said Treasury chief Philip Hammond. But he said the deal agreed on between May's Conservative government and the EU, which calls for continued close economic ties, would minimize the economic damage. Supporters of Brexit argue that leaving the EU will bring economic benefits that these forecasts do not show, such as the power to control immigration and to strike new trade deals around the world. Richard Tice of the pro-Brexit lobby group Leave Means Leave said "the Treasury has a woeful track record of forecasting" and the assessment should not be taken seriously. Some pro-Brexit economists say the U.K. would get an economic boost from leaving the EU without a deal, slashing taxes and regulations and trading under World Trade Organization rules. But they are in a minority among economists. 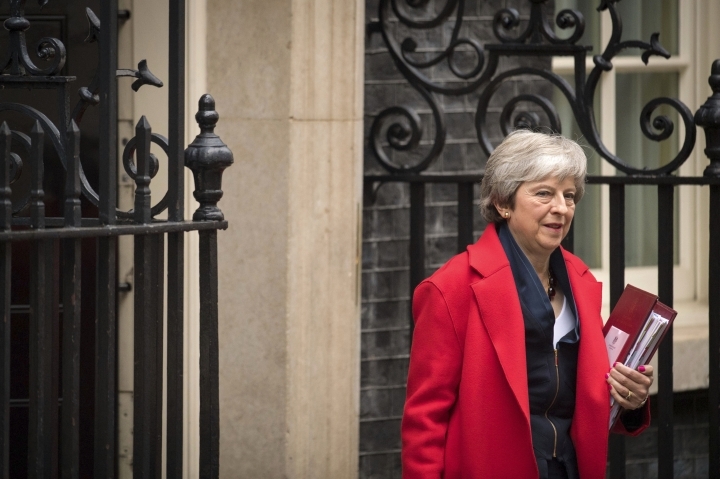 May argues that if Parliament rejects her deal in a vote next month, Britain is headed either for an economically disruptive "no deal" Brexit, or toward remaining in the EU. The British government analysis also says new trade deals would do little to offset the economic damage done by Brexit. It estimates that deals with the United States, China and other countries would add only 0.2 percent to GDP after 15 years. The government also says public sector net borrowing will increase under all scenarios, from a modest 1.3 billion pound ($1.7 billion) rise with a frictionless trade deal to an increase of 2.4 percent, or 119.1 billion pounds ($152 billion), under a "no deal" Brexit." The Bank of England plans to publish its own assessment later Wednesday of the economic impact of Brexit under different scenarios. 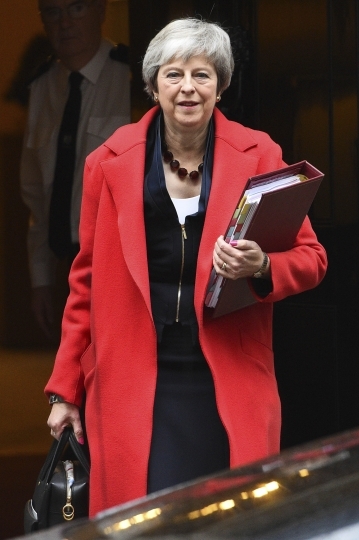 May is battling to persuade skeptical lawmakers to back the Brexit deal before Parliament votes Dec. 11 to accept or reject it. On Wednesday she visited Scotland, which voted strongly to remain in the EU in Britain's 2016 membership referendum. Scottish First Minister Nicola Sturgeon says May's deal is bad for Scotland and her Scottish National Party will vote against it. SNP lawmaker Ian Blackford said May's "head is in the sand" about the impact of Brexit. "No government should choose to weaken its economy and make its citizens poorer," he said.